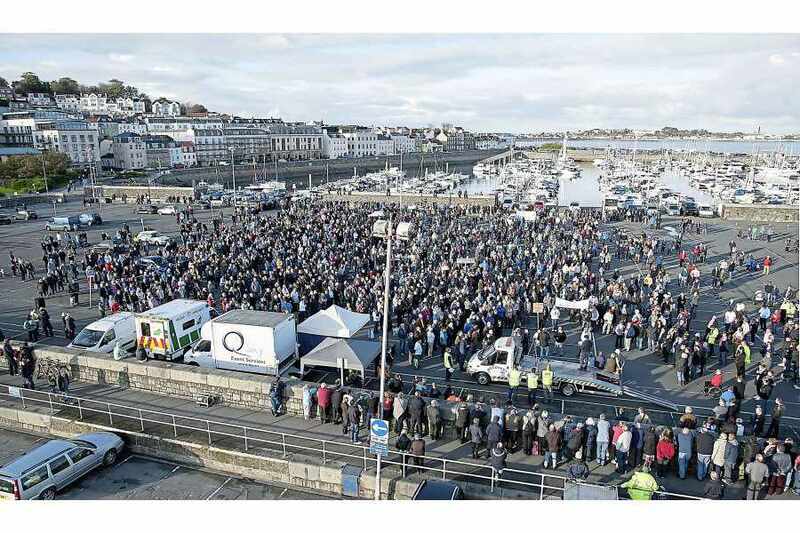 This sunday, was the date that a peaceful protest had been organised in Guernsey, against the introduction of some of the taxes that have recently been passed through our states government. It was titled ‘Enough Is Enough’ and was supposed to be middle earners expressing displeasure at the majority of newly formed taxes affecting them, when they are already operating on stretched budgets. I have previously written some fairly scathing reviews on Guernsey Broadband and the providers based here, examples here, and here. However when I moved house 8 months ago, I ended up pretty darn close to an MSAN box, and therefore decided to try their VDSL service. This promises speeds of up to 40mb download, and 5mb upload. I must say im pretty happy with it. After re-activating this blog for the 3rd or 4th time; I now remember why it goes neglected quite a lot. Something new has come out, something advanced. Normally a mobile phone of some description. There is one feature you can guarantee, which is a complete absence from any shelves in Guernsey. I was reading my friend Shane’s blog post on Forza Horizon, and how for him it has ruined gaming for him and it got me thinking about in general how we choose technology. Technology is a fickle thing, let alone new technology. It is one of those fields that whatever you choose; television, mobile phone, games console, anything with a plug for that matter, it will be out-dated within several months, maybe even weeks of purchase. Well before the physical life span of the device expires and for that reason I have come up with the perfect solution to choosing something that will give you the maximum length of time to enjoy it. Probably for a fleeting visit, like a terrible father. So I’ve now been predicting the weather for a week, and well all I can say is. I’m pretty damn good at it. I wrote a script to go back in the database, and using the same logic as my current predicting script. It looks at data that would have been available to the system then, and puts a prediction in the database. This was marked as retrospective (although in theory it doesn’t matter). Predicting the weather is a difficult task, often taking years of training. Then hours of studying charts, tides to predict weather we are going to be wearing shorts or trousers tomorrow. I decided to take a more basic approach to attempt to guesstimate what the weather is going to do. Taking baby steps, I am only predicting 12 hours in the future. But below I will outline the method in my madness. Because I have little other content to put up, I’m just leaving a note about another website I run with Jason, Is The Storm Coming?. The whole idea of this website, came from a saying at work. So we bought the domain, and wondered what to do with it. Eventually we came up with the idea of scraping a weather website, and searching for key words. Firstly, I hacked something together in PHP. It took all of about 20 minutes, and the website was live. Obviously the information provided is only for Guernsey, in the Channel Islands, but it provides a simple yes or no answer on weather to stay indoors. In January, Jason recoded it all in Ruby on Rails. We also tarted the thing up with a nice graph showing storm frequency. This uses the google API, and although Jason needs to get on it and fix the labels on the axis, the scales are good, and now there is nearly 3 months worth of data in the graph, its actually interesting what shape it takes. The future plans I think are to use an algorithm similar to the one used by the Rock, Paper, Scissors Bot to predict the weather.